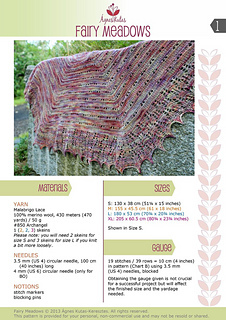 This simple yet elegant pattern was designed to showcase those magical variegated yarns. 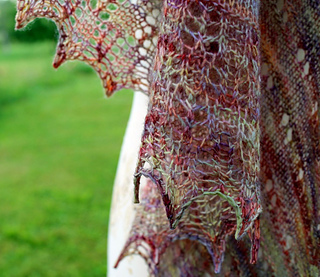 The shawl is adjustable, you can work as many repeats as desired. Charted and written-out instructions. Please note: you will need 2 skeins for size S and 3 skeins for size L if you knit a bit more loosely. 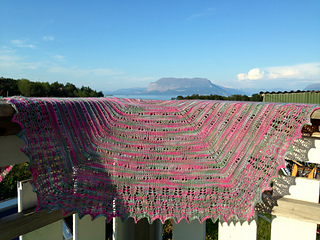 Please note: this is an adjustable shawl, you can make as many repeats as desired. Note: obtaining the gauge given is not crucial for a successful project but will affect the finished size and the yardage needed.